There are two categories of log data: request logs and application logs. A request log is automatically written by App Engine for each request handled by your app, and contains information such as the project ID, HTTP version, and so forth. For a complete list of available properties for request logs, see RequestLogs. See also the request log table for descriptions of the request log fields. 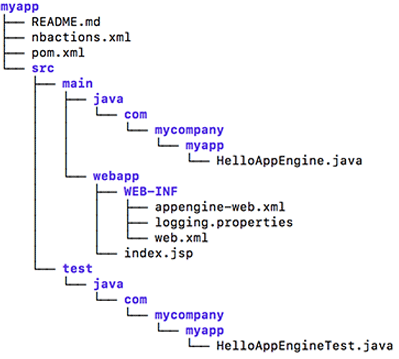 Each request log contains a list of application logs (AppLogLine) associated with that request, returned in the RequestLogs.getAppLogLines() method. Each app log contains the time the log was written, the log message, and the log level. The default log level in logging.properties is INFO. To change the default log level for all classes in your app, edit the logging.properties file to change the level. For example you could change .level = INFO to .level = WARNING. When your app runs, App Engine records the messages and makes them available. You can read them programmatically using the Logs API as shown next, or you can browse them in the Logs Viewer. You can also download the log files using the AppCfg tool.